Calling all the lumberjacks and lumberjills in Rigby, Idaho! Did you hear the news? 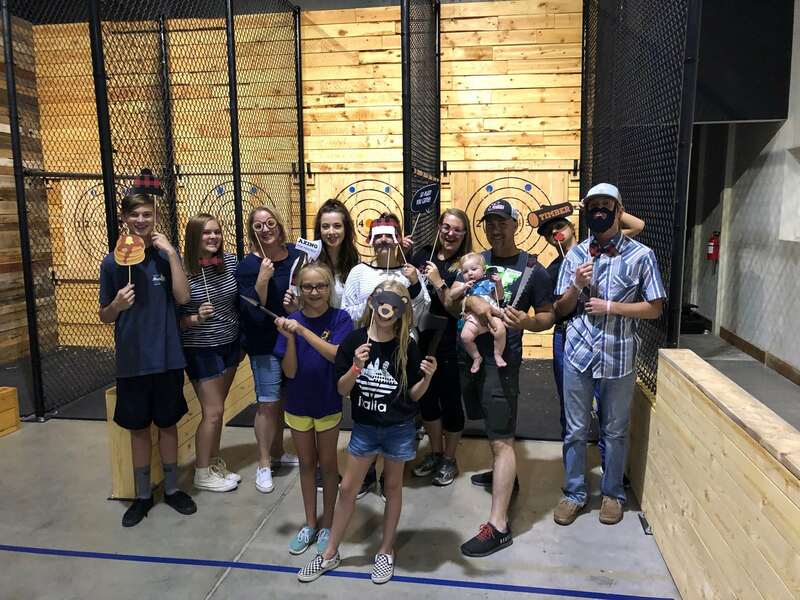 Heber Hatchets Axe Throwing has a location in Rexburg—that’s only 15 minutes down the road! Yes, you can really throw real hatchets! Yes, it is safe! No, we’re not crazy. . . ok, maybe a little bit. But this is a real thing, and you should try it! So put on your best flannel, comb your beard, and come try out the unique entertainment experience that is sweeping the nation. Axe throwing will soon become your favorite thing to do! It’s a blast! If anyone can appreciate a good game of axe throwing, Rigby folks ought to be at the top of the list, right? What’s more “Idaho” than axe throwing?! At Heber Hatchets, guests are set up on lanes with a large wood target. You score points by sticking the axe in the target. Pretty straightforward, right? But there are some twists—depending on the particular game you are playing (there are many available), you may want to score low, score high, or maybe just stick the axe anywhere on the board! One of the games, called “Stretchin’ the Blanket”, will even test your ability to bluff to the other players. It can get interesting! 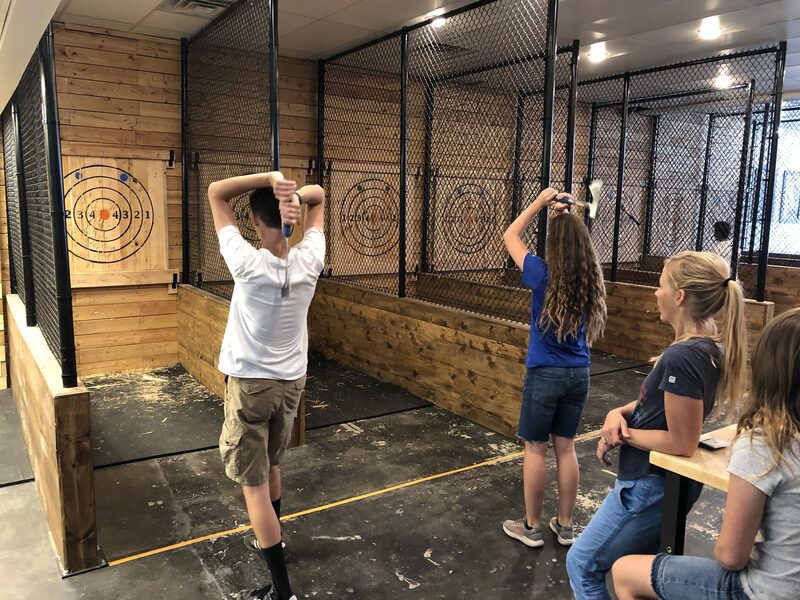 We obviously love axe throwing, but what we love most is seeing people show up for the first time kind of hesitant, but become axe throwing fanatics as they get the hang of it. It’s surprisingly addicting! We are s0 happy to be here in eastern Idaho, and want to make sure our friends in Rigby don’t miss out! So, are you ready to try something new for date night? Is your Rigby, Idaho company looking for an exciting team-building activity?  We’ve got you covered over here at Heber Hatchets Axe Throwing! To make sure we have space available for you, we recommend you book your time in advance. You could try showing up for a walk-in booking, but there’s a chance we could be full when you arrive. We’d hate to have to turn you away, especially if you just came over from Rigby! So, you can book online here on our website, or give us call at (208) 656-5884.